On entering the grand hall that was the O2 Academy for Futures Fest 2013 (on 21st December 2013), I was impressed by the size of the venue and the decor. Swathes of floating ivory fabric and a silver disco ball definitely set the ceiling apart! I met with the band before the gig and after being welcomed with hugs from Nicola of Taylor Red, I instantly felt like part of the furniture. This would be a lovely way to end before Christmas. O2 Futures Fest was without a doubt an excellent platform for them and all the bands. It was also revealed that Taylor Red, were set to play five hours later than originally scheduled, I was prepared to wait, well it was Christmas and I had travelled to see them. Throughout the evening the crowds amalgamated and then dispersed from the floor and into the other attractive spectator spots of which there were many. A total of nine bands were set to play and I would be lucky enough to see seven, before Taylor Red. Sergio Sergio was one of the other bands that piqued my interest; this was the band Taylor Red highlighted in their interview with me. The band had immense stage presence; I particularly liked their track, ‘I Am The Moon’, a great song to get a feel for their instrumentation, their vocal range and their overall fierce gritty style. Brilliant set! Several minutes in, she glided on like a screen siren in her chic red and black ensemble; it was none other than lead vocalist Nicola Taylor. The line-up was now complete, the crowd beside the stage were screaming – inside I was cheering (a little!). They were the most sophisticated band I had seen all evening, seconds in, the crowd, camera crew, photographers, locked onto Nicola and the rest of Taylor Red. The lead vocalist managed to project throughout the whole auditorium while filling the place with soul melting powerful tones. Eyes on the stage, we were drawn in, track by track the band enveloped us with feelings of passion, perseverance, excitement and love. Starting with ‘End Up Like This’, an amazing choice, the song complemented Nicola’s impressive vocal range with the talents from the rest of the band from the outset.. This set the band up for an epic performance; I couldn’t wait to hear the rest! The five piece continued to dazzle with ‘Let Go’ which is one of my favourites, the strong breaks and the pulse beats, empowered by ‘that voice’ creates drama and intrigue every time I hear it, it sounded better than I had ever hoped. They were certainly worth the wait! The song, ‘Fool With a Broken Heart’, was just sensational live, the rhythm, the harmonies, the track was just beautiful and heartfelt; softened out with superb work from bass, guitar, keys and drums. 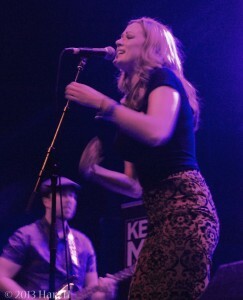 The song had Nicola MCing as well; showcasing her fast paced, sharp, rap style skills. One of the two surprise covers was ‘Treasure’ from Bruno Mars. 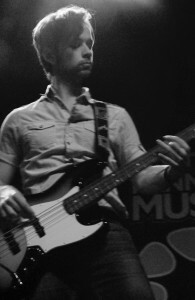 The performance by the band contained more depth whilst holding onto the original version’s dynamic, up tempo, melodic, soulful quality. It really revved everyone up, we were on tenterhooks! What was this band doing to us? Fantastic stuff! The second of the surprise covers mentioned in the interview was just that – surprising! Whilst the music video by Miley Cyrus created both controversy and P.R. dynamite, ‘Wrecking Ball’ was another track covered by the band. Suffice to say they did an outstanding job. 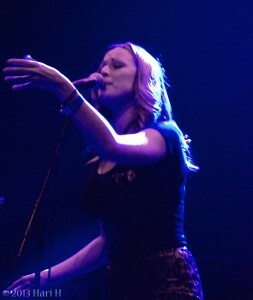 Nicola Taylor’s intense vocals, backed with superb band synchronicity kept the song, powerful and edgy. ‘Chameleon,’ was their final track of the evening, a terrific encore to the set. A fabulous hearty song, funky energy, quirky and like most of the bands songs, full or rhythm and spirit. If rhythm really is a dancer then this band will have you doing just that, over and over again. What a performance! What a voice! What a band! Taylor Red are certainly not afraid to flex themselves in various directions, whilst bursting out amazing melodies. The band is warm, friendly and passionate about what they create and how they portray that musically. I enjoyed the different covers because it shows variety in the band’s approach to developing their style. It also shows confidence and commitment to keeping up with the latest distinctive voices, within popular culture. As a group who are going down the mainstream pop route, I believe this is an intelligent move. I really wanted to see this band live and I did, I was impressed from the outset and they heightened my original expectations. It’s also a lovely feeling to know that yes, the band have now achieved well over 1,000 fans on Facebook. 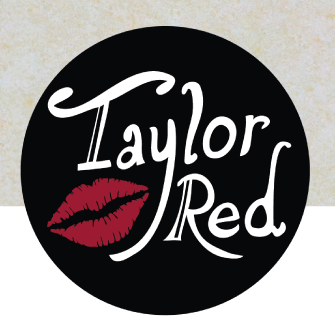 Taylor Red I believe more people this year will realise you really are one red hot band! Definitely worth the five hour wait! I look forward to hearing their name throughout 2014. If Futures Fest 2013 was anything to go by it is safe to say the Future is red, Taylor Red. 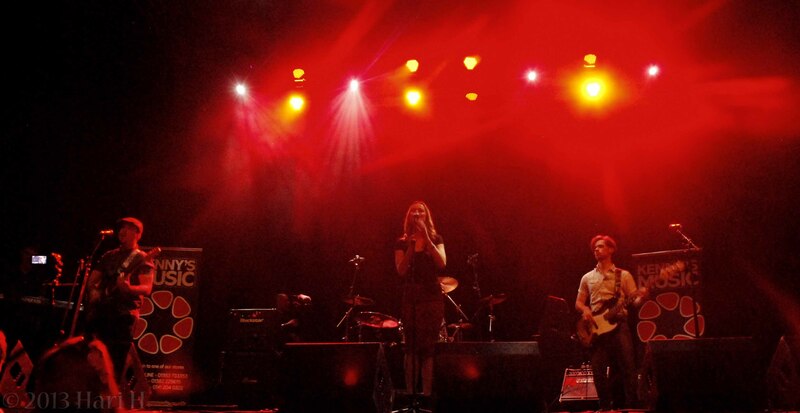 Please visit their page for continuous event information, new songs, covers and more.